A full moon has a relationship to the previous new moon. 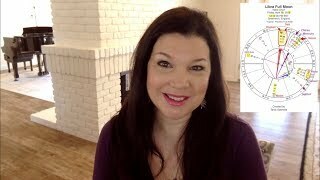 Your April 15 new moon goals can now be fine-tuned or completed, it is harvest time. You can make emotional adjustments in response to those new goals. The full moon effect lasts for two weeks up to the May 15 New Moon. The April 29 full moon at 09°38′ Scorpio makes a helpful blue aspect to the planet Saturn as shown in the chart below. Don’t worry about the challenging red square aspects for the moment because they are minor in comparison. The most important aspect in the full moon chart is Moon sextile Saturn so this is a positive full moon. There are no major fixed stars within range of the full moon. Moon sextile Saturn makes you feel protective of your family and partner. You will show how much you care for them in practical ways, not through public displays of emotion. Your task is to give nourishment and comfort through food, shelter and a shoulder to cry on. This is a good full moon for sharing deeper more serious emotions with a loved one. Commitment, loyalty and the family home may be topics of interest during the coming two weeks. You can carry out your duties and responsibilities with care and patience. Shared responsibilities should also be attended to. Respect for tradition and ancestors may lead to visits to the nursing home or cemetery. Organizing photos in an album would be emotionally satisfying. You will have the patience and understanding to convert online photos to the real deal and visa versa. 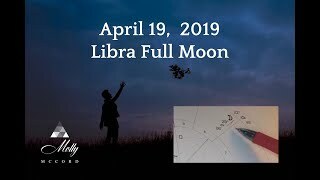 This is the perfect full moon to complement the April 15 new moon because the major theme of that new moon was making a positive change in your life. The New Moon two weeks ago was particularly good for making a fresh start in your love life. Whether rejuvenating an existing relationship or finding new love, the planets align in your favor. The April 29 full moon now brings the stability and security to crystallize recent changes and make them permanent improvements. This is a good full moon for making new partnerships binding, formal and legal. It is a good full moon for tradition, ritual and ceremony. New projects, relationships and partnerships since the April 15 new moon have a good chance of success because that new moon aligned with a fixed star associated with preparedness, steadiness, determination and final success. 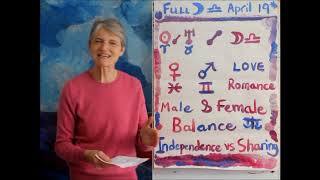 Full Moon April 2018 sextile Saturn is an excellent omen because Saturn rules preparedness, steadiness, determination and final success. The January 31 lunar eclipse at 11°37′ Leo was conjunct minor planet Ceres. Because of retrograde motion, Ceres is now at 10°16′ Leo conjunct the North Node of the Moon. This means that the April 29 full moon represents a major turning point in the current eclipse cycle. The moon rules women and traditional motherhood, while Ceres rules independent women and modern motherhood. The January 31 lunar eclipse and the April 29 full moon focus attention on single mothers and working mothers. Sole parent fathers are included with Ceres because they play the role of nurturer. Social discussions and political debate will include parenting styles, custody rights, maternity leave, childcare and equal pay. While full moon April 2018 offers stability and security for families and relationships, it also represents more struggles for some women and single parents. Ceres square the full moon and quincunx Saturn means working women, single parents and the environment will come under a lot of pressure during the next two weeks. If you resonate more with Ceres than the Moon, balancing your responsibilities is your key to success. Try to share responsibility and where you can, delegate some of your less critical duties to others. Parenting has always been a communal responsibility but some people need reminding of this. 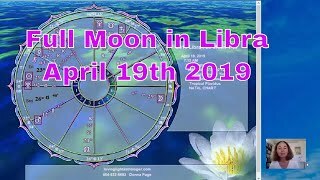 If the Full Moon April 2018 astrology chart directly impacts your horoscope decan you can read about it in your monthly horoscope. For more detail about how it affects your natal chart see full moon transits.